Before I got married a few months ago, I began the process of researching just what I would need in order to change my name after the wedding. I wanted to be prepared, with all of my documents in place in order to make what can seem like a confusing process a little more clear. However, I couldn’t find a simple resource that told me exactly what documents I needed. Instead, with each agency, I would research the various documents and items that they each required. Once I had compiled all of these documents, the process was a breeze. Getting there was not so easy. Rather than researching each area where you must change your name, we have made it easier by compiling a basic list of the items you will require. If you have these, you can walk into those offices prepared for whatever they may need. 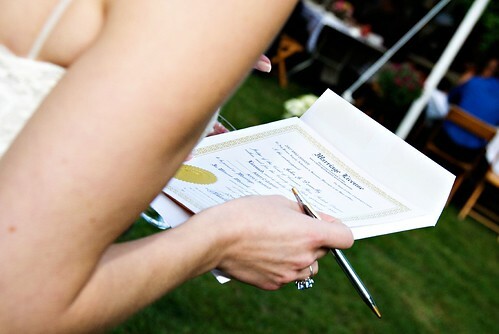 The most essential document that you will need for your name change is the marriage license. With any name change after marriage, you need the document that has your old name and new name in one. However, with some agencies requiring you to mail in your license, you need to get certified copies so that you don’t hand out the real thing. From the Social Security Administration to your credit card companies, most areas where you will change your name will require a certified copy of your marriage license. In my case, I went to the county recorder where I filed my marriage license for an official certified copy. You can’t just take your original marriage license and have it photocopied. You need a certified copy, usually with the state’s seal imprinted on the copy. It is also a good idea to not only get one copy of your marriage license, but rather several. By having several copies, you can distribute them throughout different agencies and offices without having to wait for each one to return the one copy you have. Usually counties charge a small fee for each copy that you request. The first step in the process of changing your name in the United States usually involves the Social Security Administration. 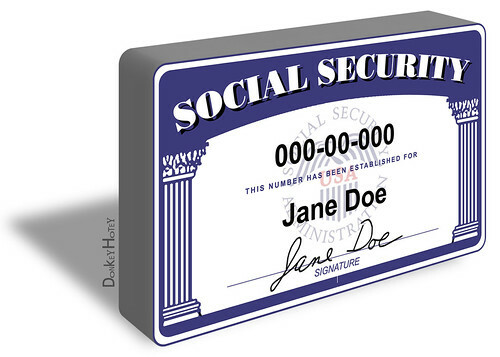 You can’t change your name in other areas until you have an updated social security card. When I went into my local Social Security office, I had all my documents in order. I had researched exactly what they would need which entailed a form from the office, proof of U.S. citizenship like a passport and your marriage license. When I arrived, I was asked for my old social security card in addition to the other documents. Luckily I had this card on me just in case, even though throughout all of my research, the office didn’t say it was required. It is best to have your old social security card with you when you make this first name change. While your office might not request it, it is best to have it with you just in case. Once you do obtain your new Social Security card, you don’t just throw that in the file cabinet. Rather, you will need your new card to make the change on your driver’s license. Your bank or credit card companies might also ask to see your new social security card before they make the change. 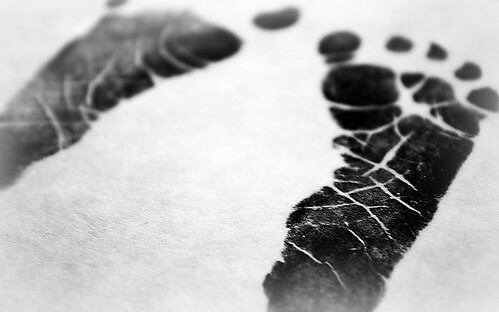 While you probably came home from the hospital with an official birth certificate and then one that was more for show with your little foot and handprints, you will need to dig up your official birth certificate for a name change. Like the marriage license copy, you will need to make sure this is certified copy. From obtaining a new driver’s license to a new Social Security card, some outlets might require you to show that you are a U.S. citizen. If this is the case, you will want to have an official birth certificate copy on hand. If you can’t seem to find your official birth certificate or even a copy, you can show proof of citizenship in other ways, one of which being with a passport. As I was not only changing by name but also moving states, I began the process of how to change my name and address with the DMV. Throughout my research, I discovered that I might require proof of citizenship in the form of a passport in order to acquire a license in another state. If you are not only getting married but also moving states, your passport is one of those essential documents to have in your name change arsenal. 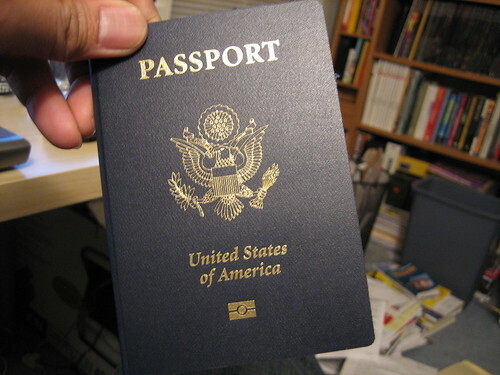 A passport can also come in handy when showing your identity if you don’t have a driver’s license or other official government identification. Once you change your Social Security card name, your driver’s license and tell your bank about your new identity, the next most important change should be your passport. For me, this document name change required a great deal of research to determine exactly what I needed. 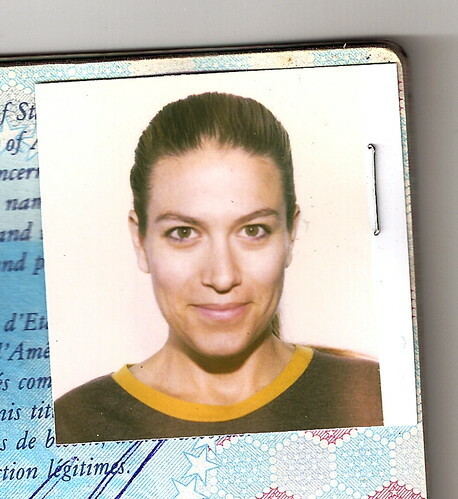 In most cases you will need a recent passport photo. If you want to jump ahead of the game, you can have passport photos taken so that once you get married, you can make this change as quickly as possible. You never know when you might have to dash off out of country. Name changes after marriage can be expensive endeavors. Along with all of your important documents, you will want to have plenty of cash on hand as well. For example, to change your name on your passport, you will most likely pay the same price that someone obtaining a new passport pays, usually around $100. When you change your name on your driver’s license, you might be charged as little as $10 to make such a change. When you request copies of your marriage license, you will also need hard cash to obtain those copies. 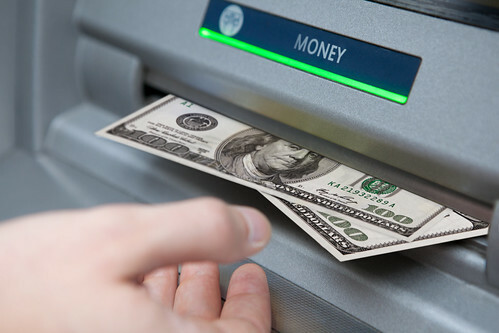 In a world where most people use plastic instead of cash, you can forget to come prepared to these offices with cash on you. The name change process is already lengthy and complicated enough. You don’t want to prolong it by having to return to offices later because you didn’t have the cash. How did your name change process work? What items did you require that you hadn’t considered getting in order?